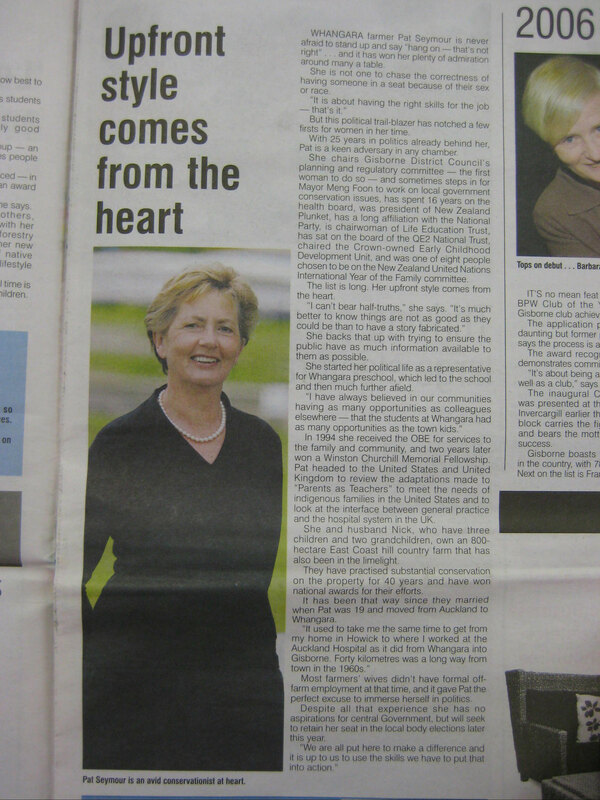 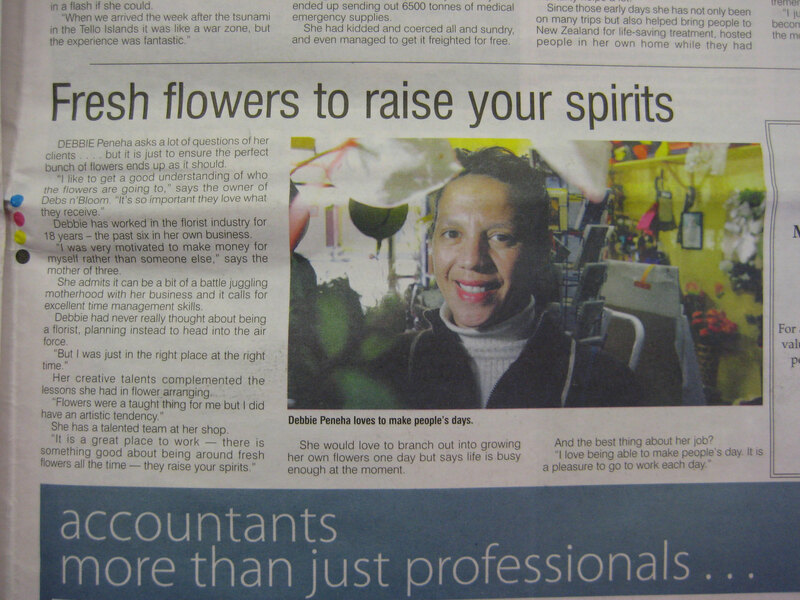 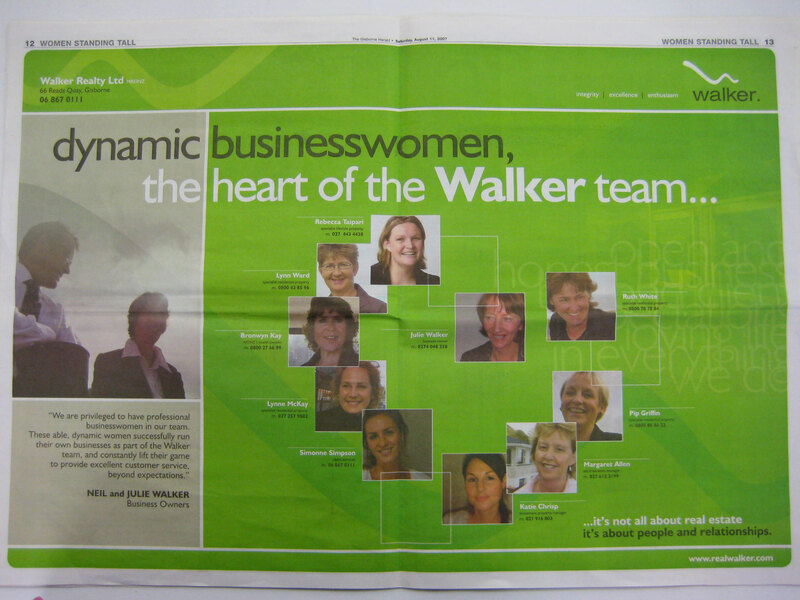 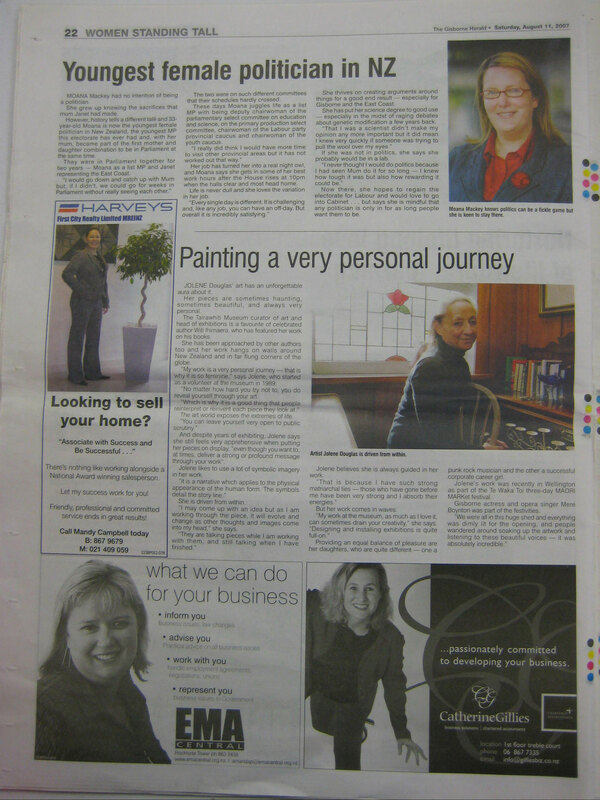 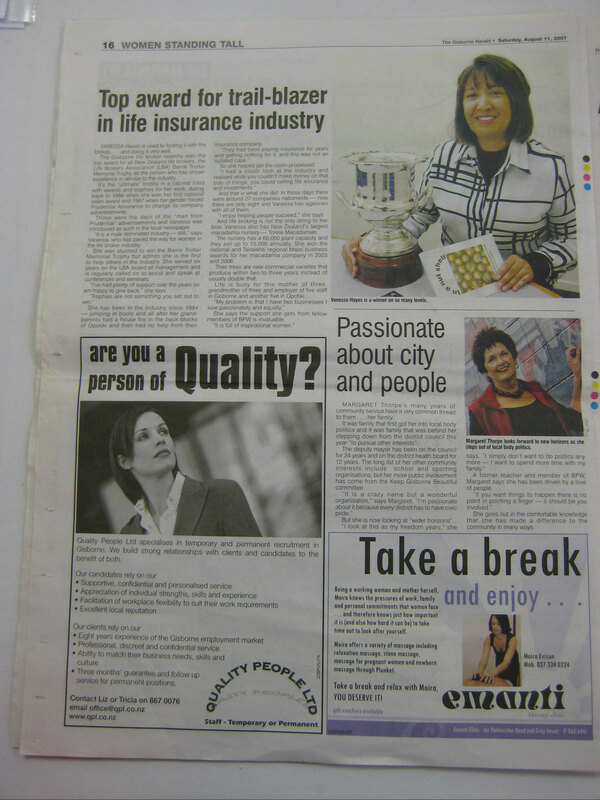 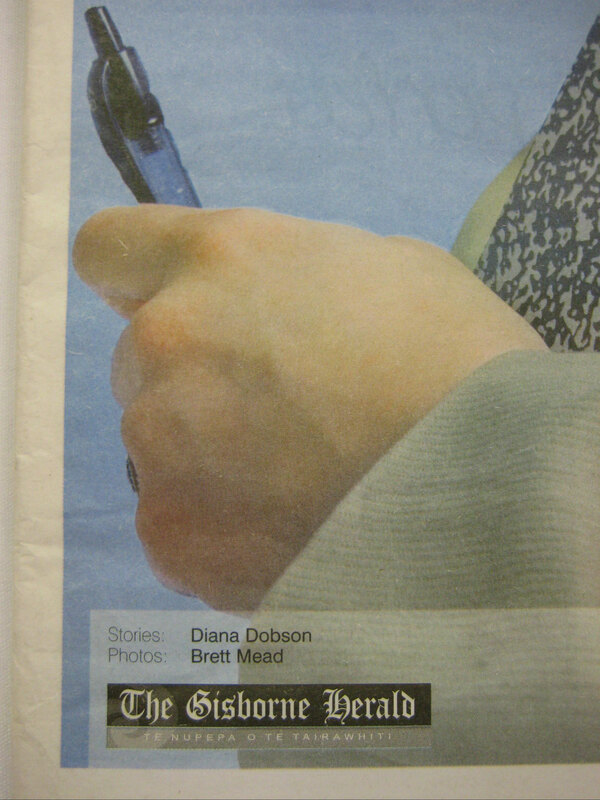 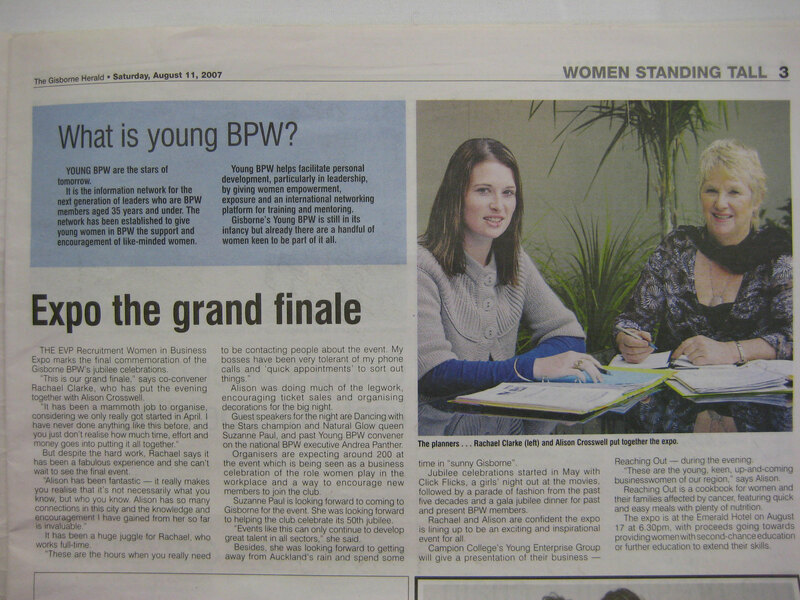 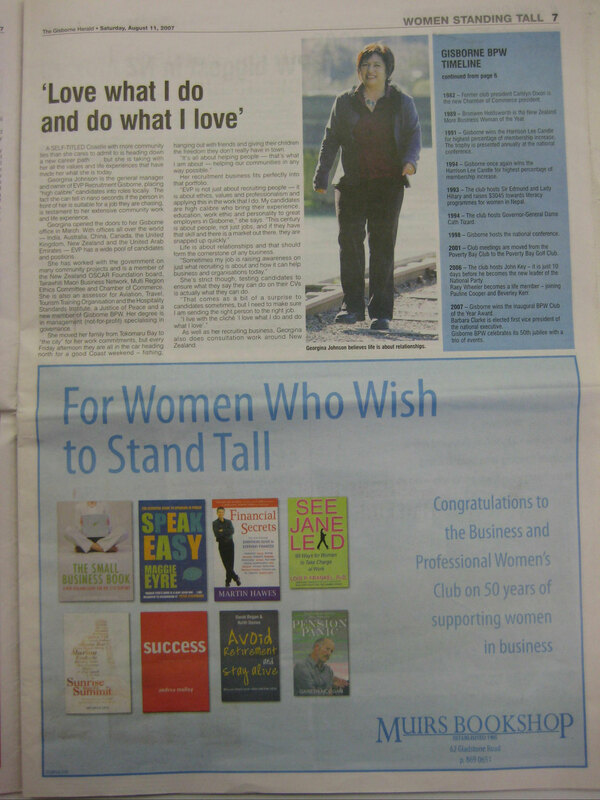 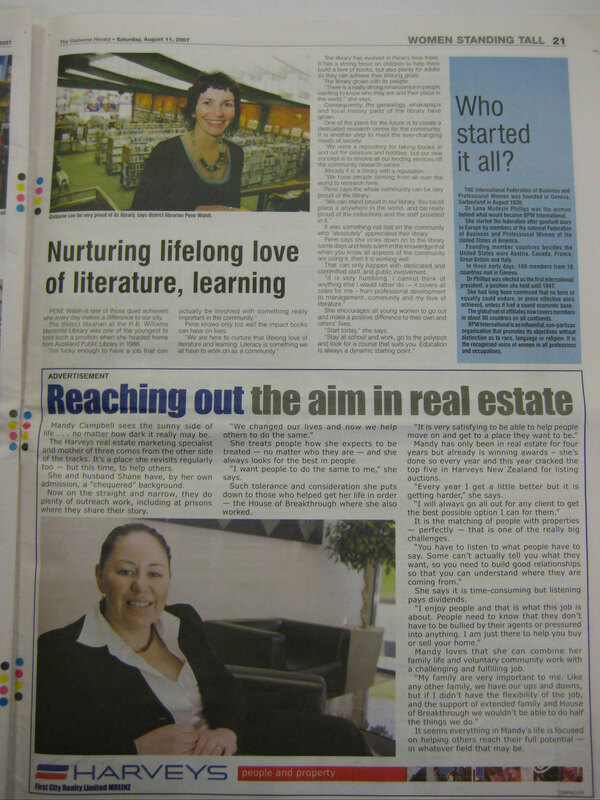 Presenting BPW in a newspaper - bpw-leadershiplifelonglearnings Webseite! 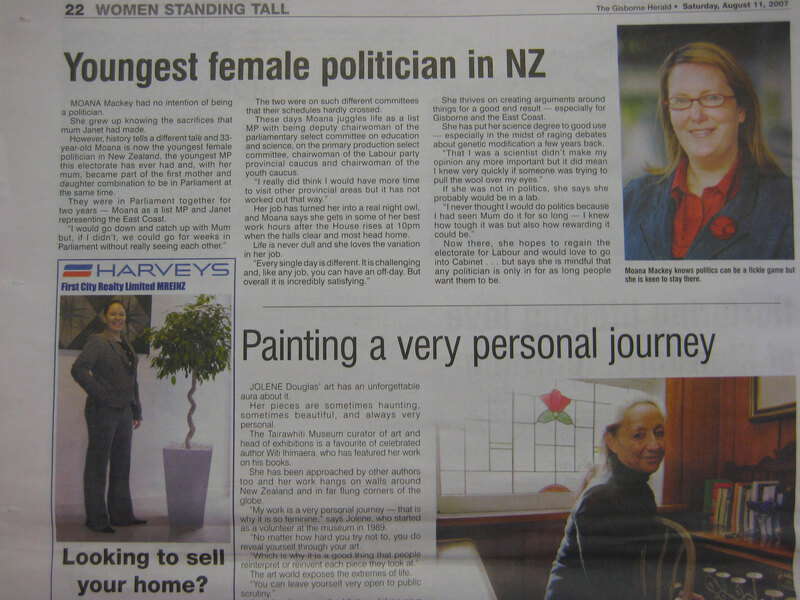 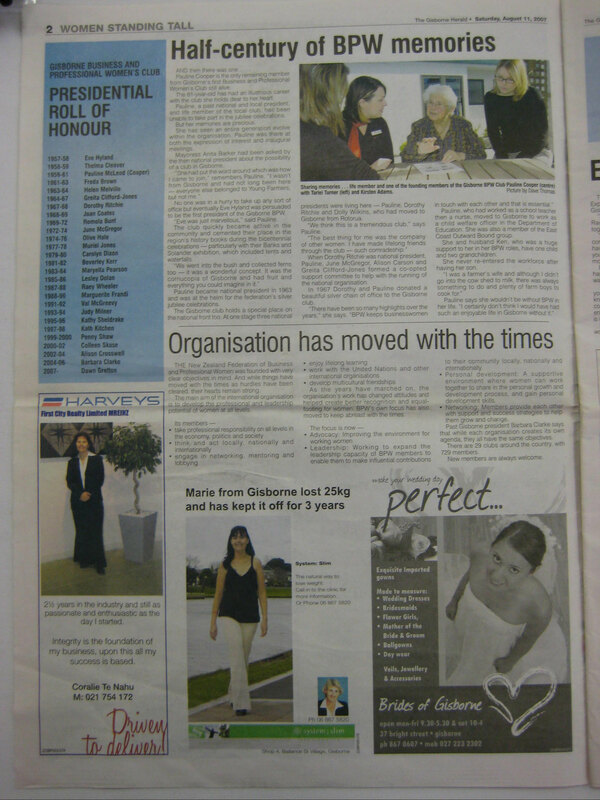 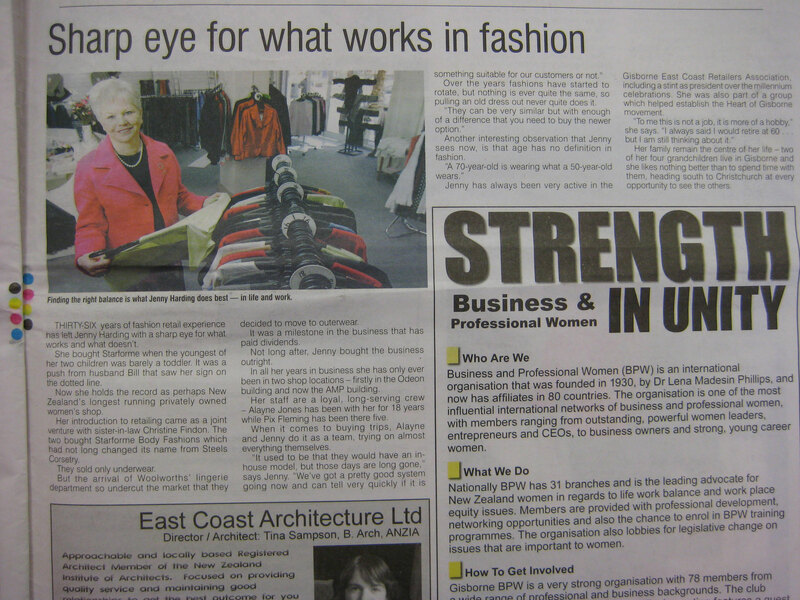 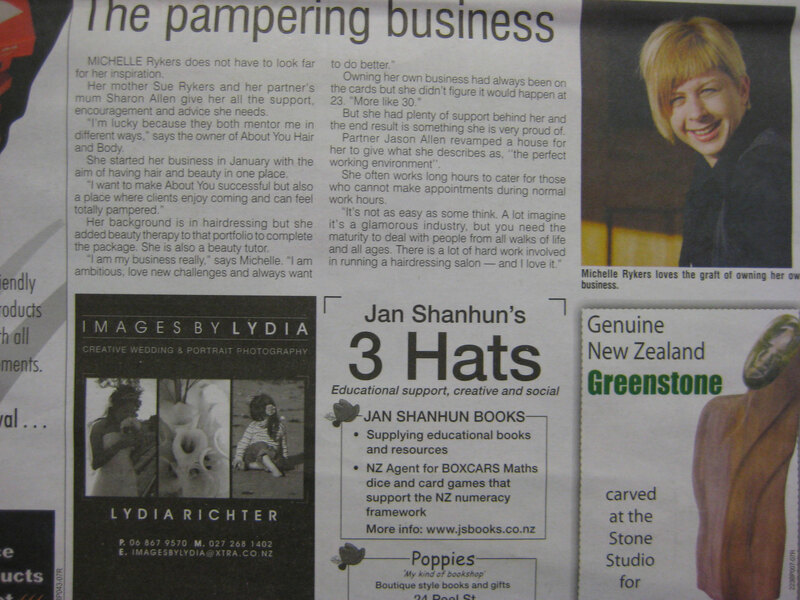 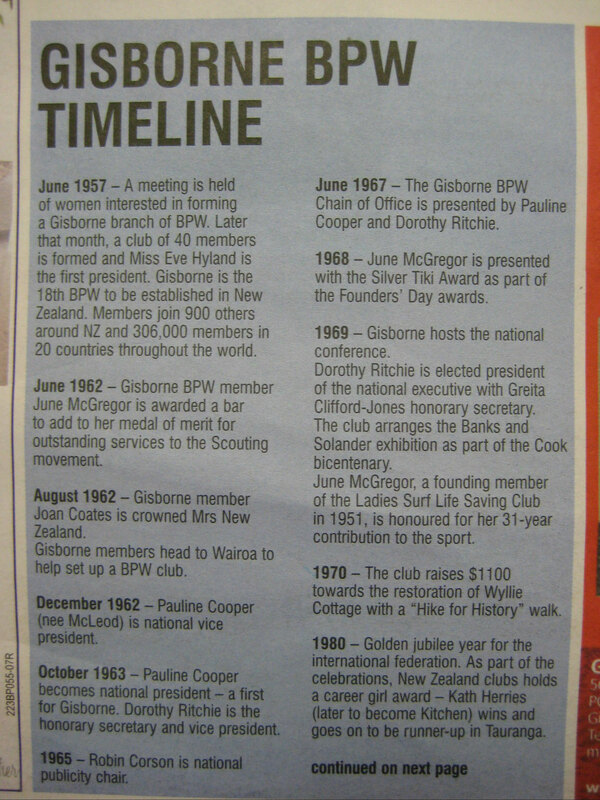 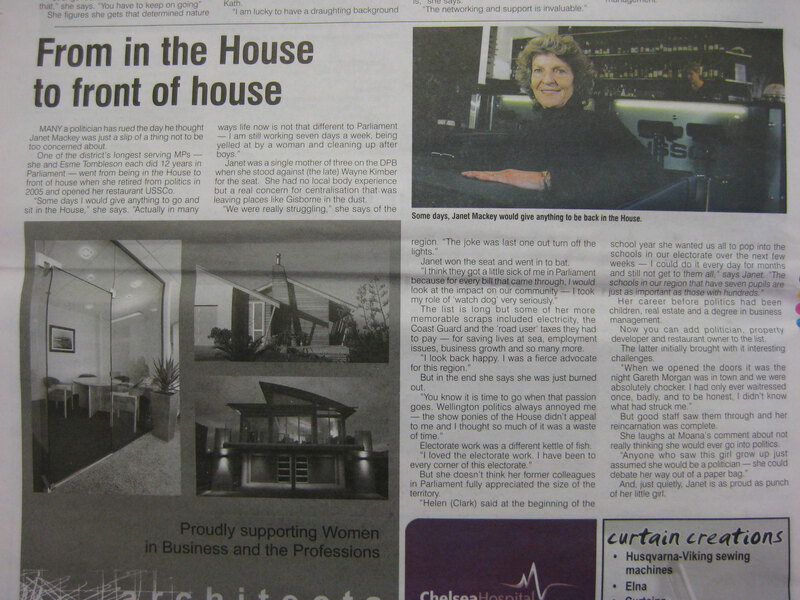 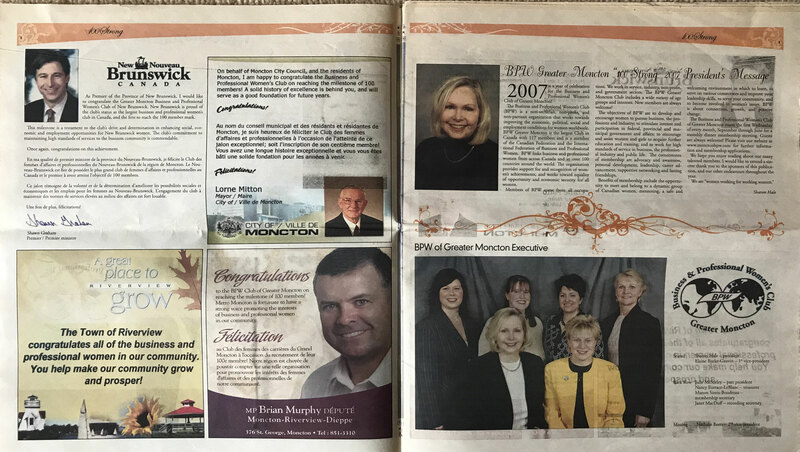 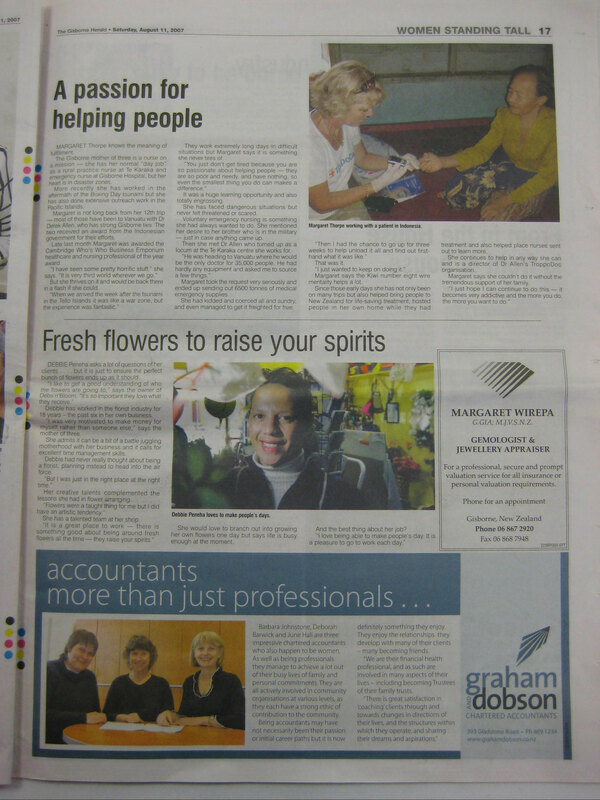 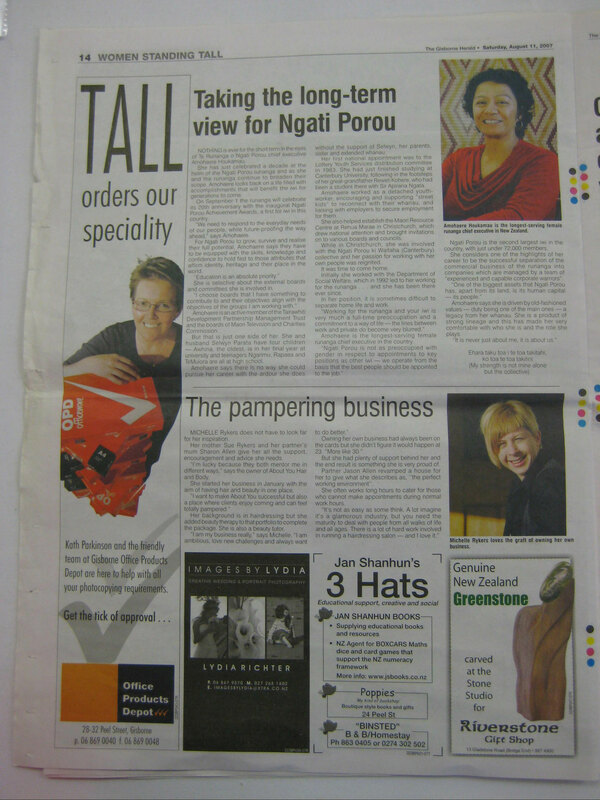 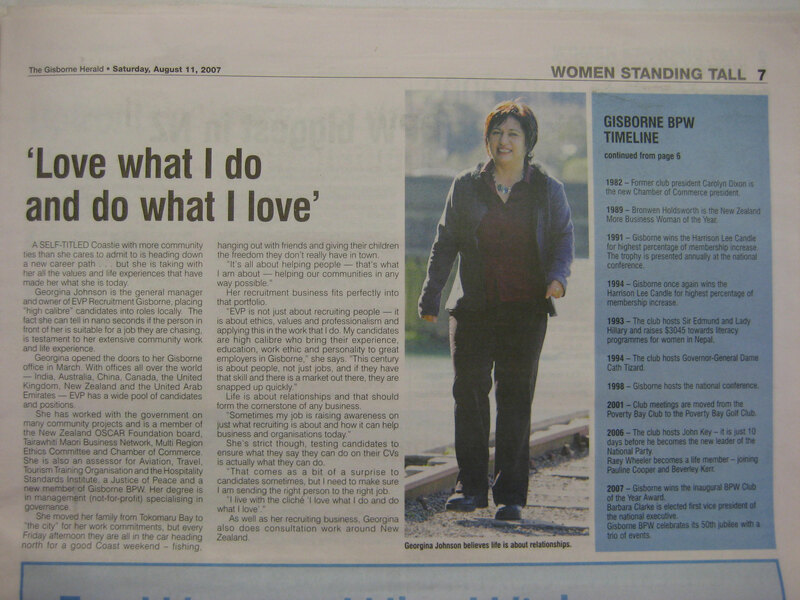 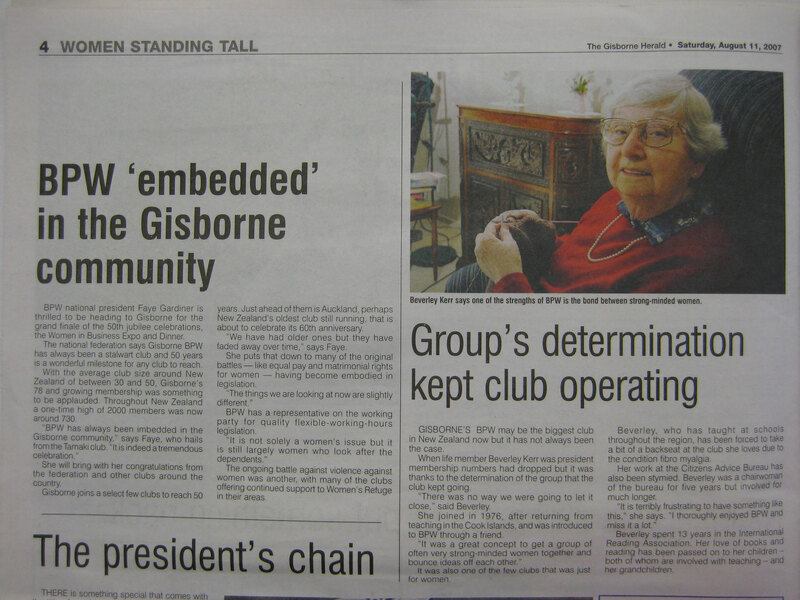 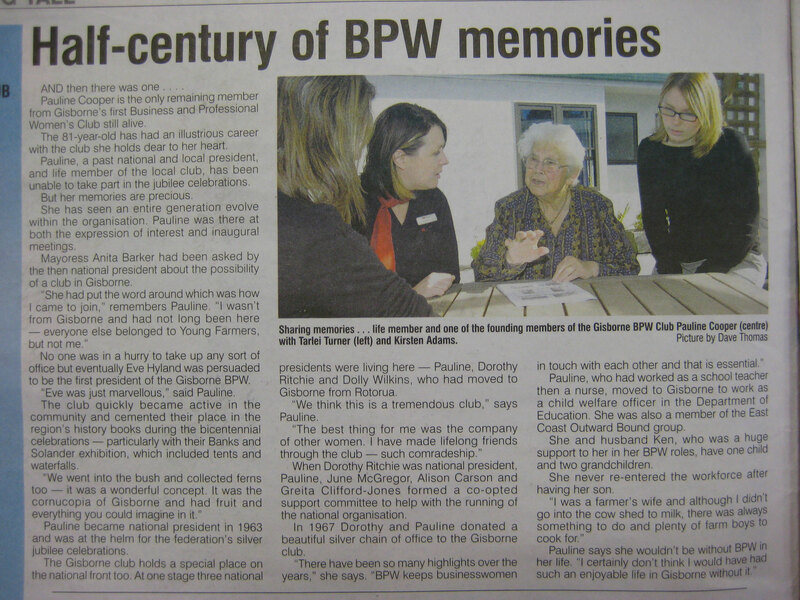 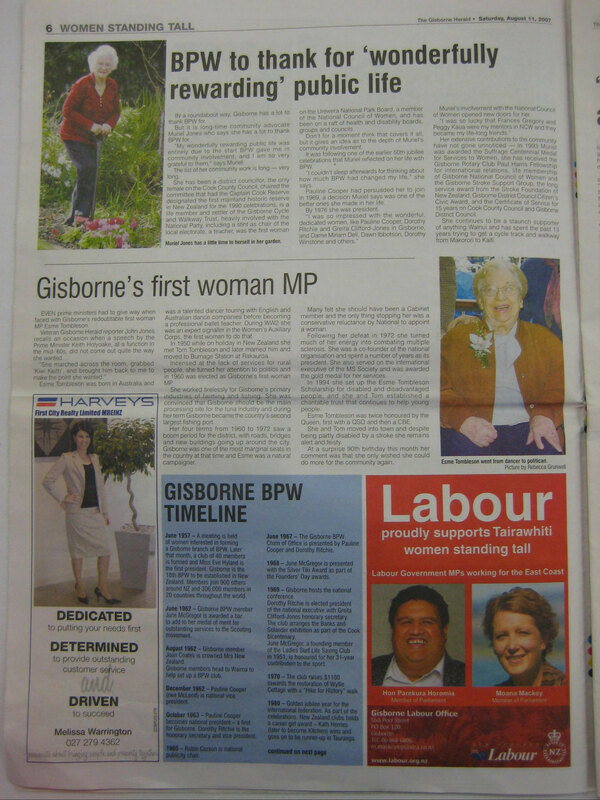 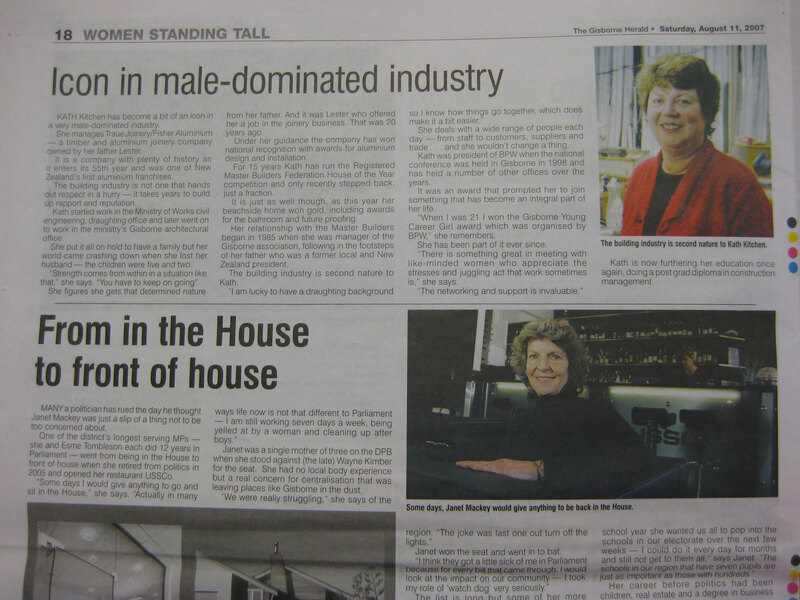 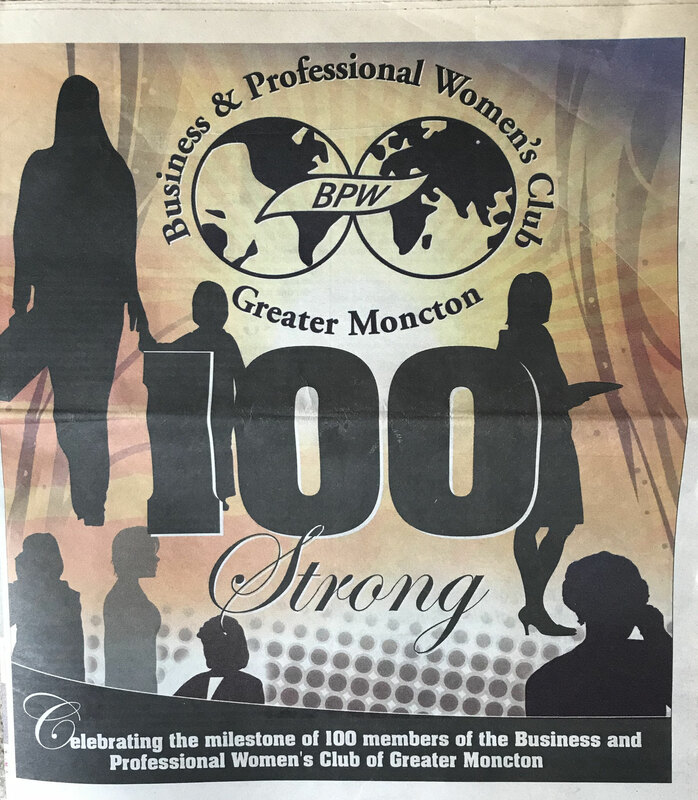 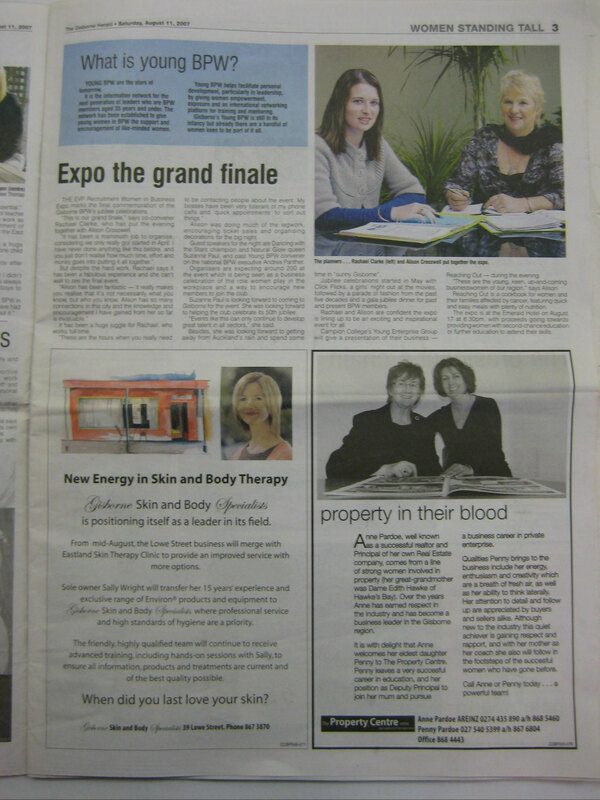 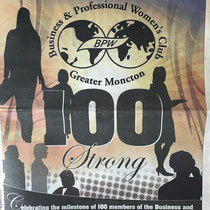 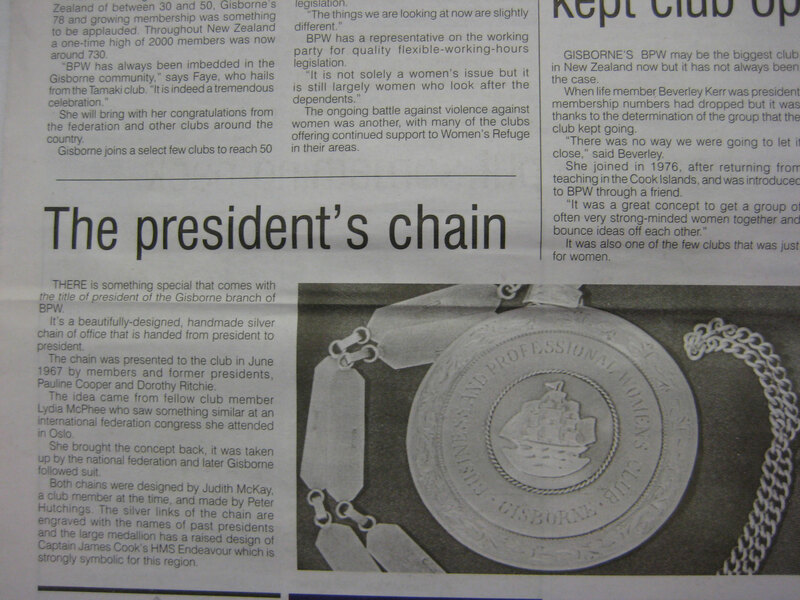 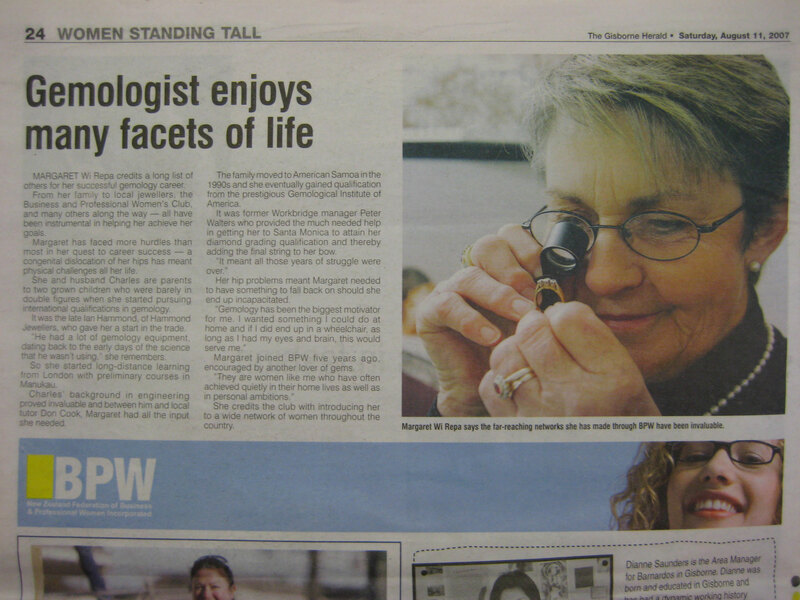 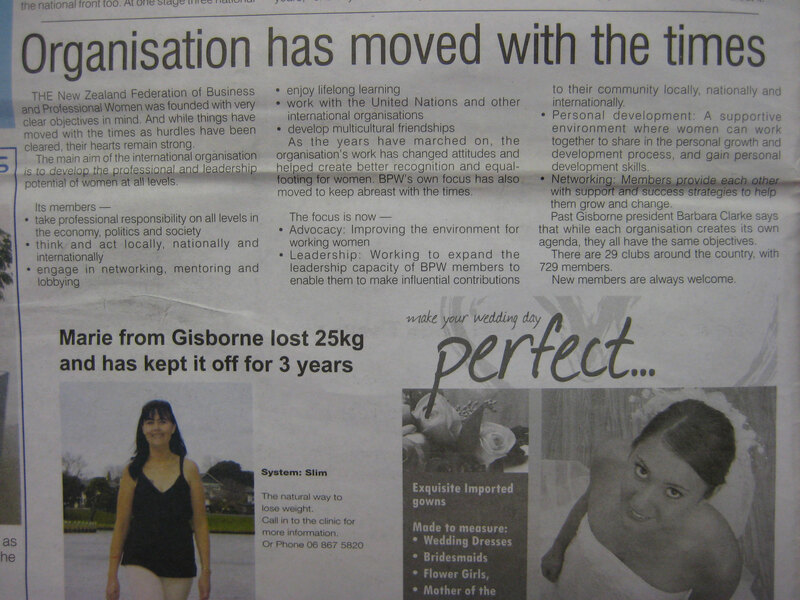 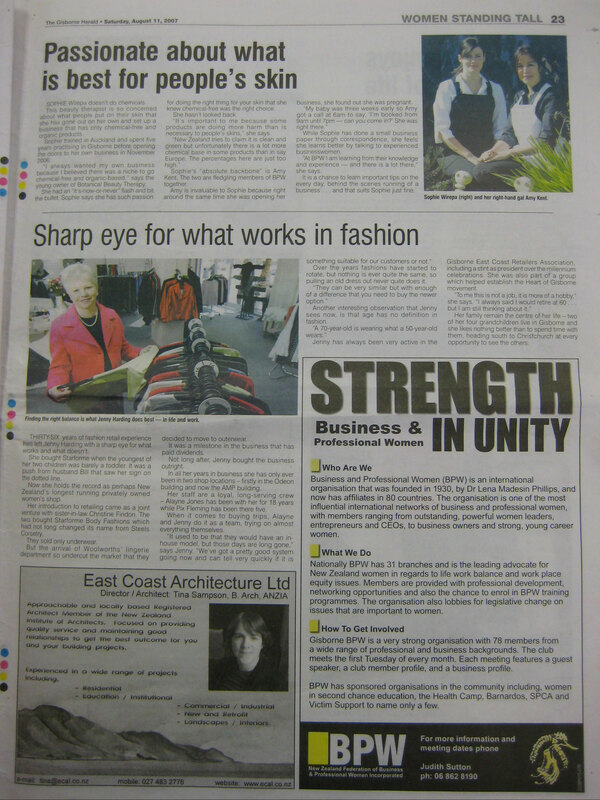 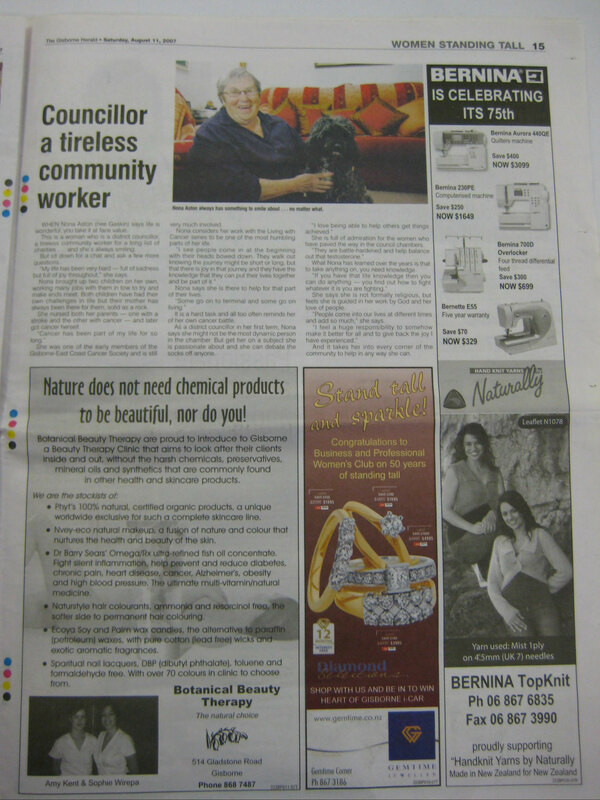 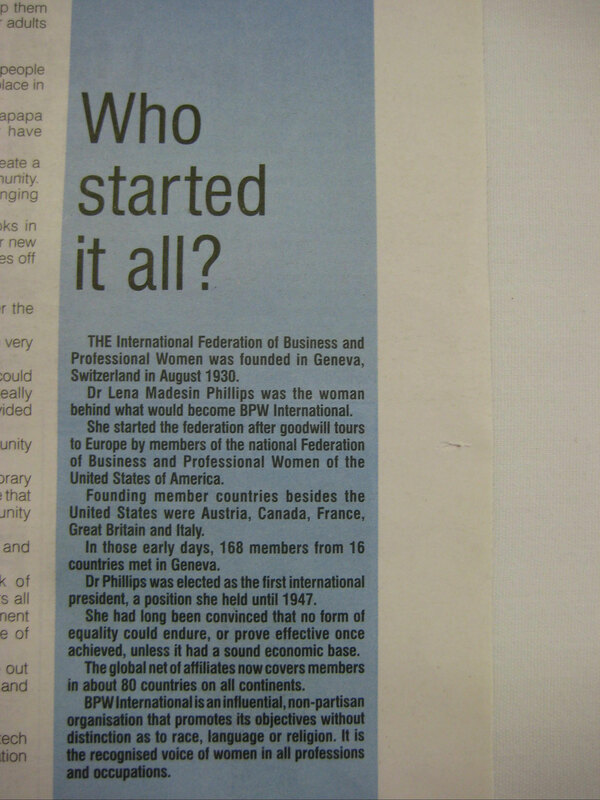 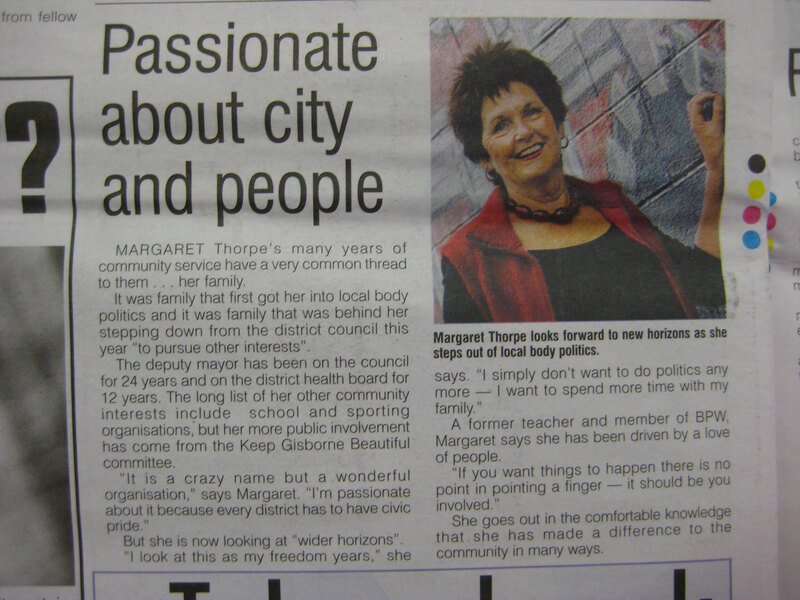 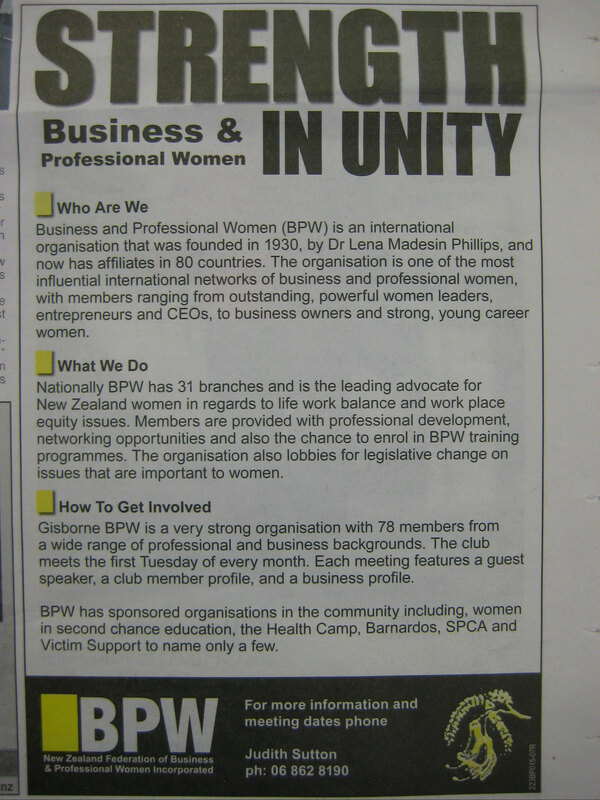 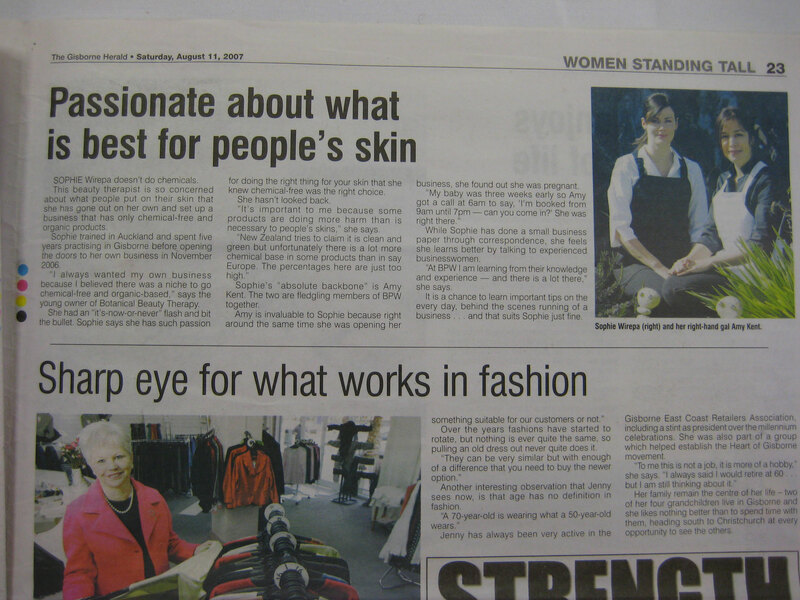 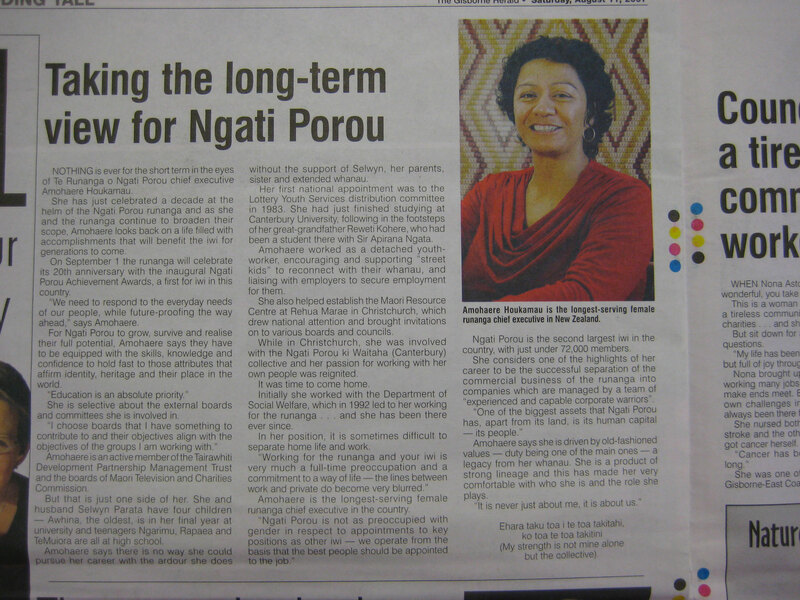 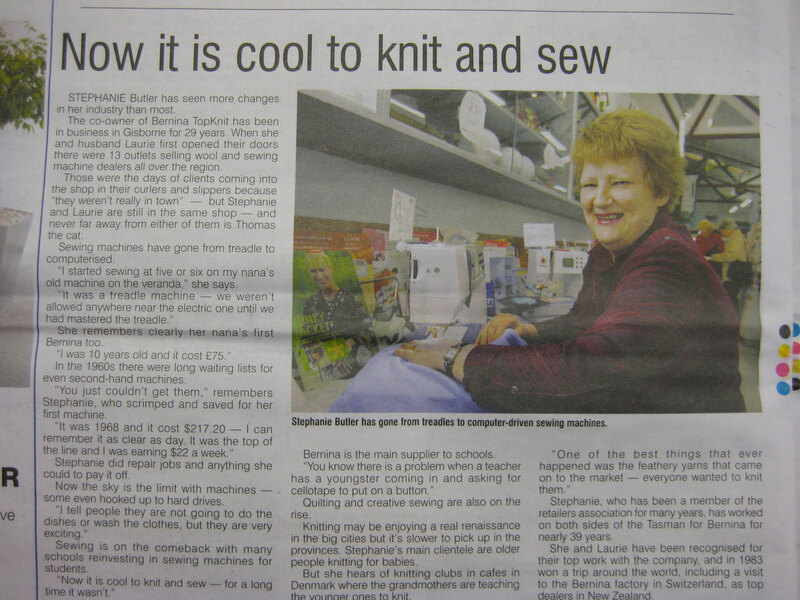 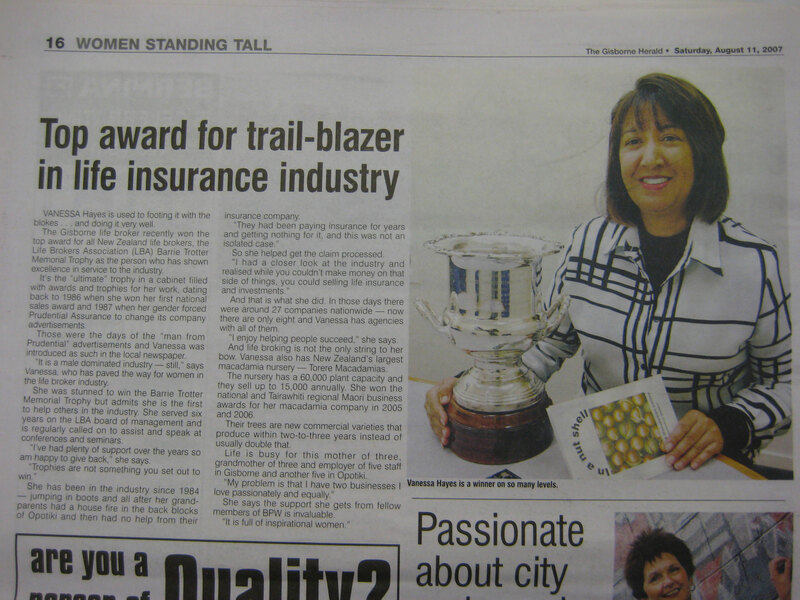 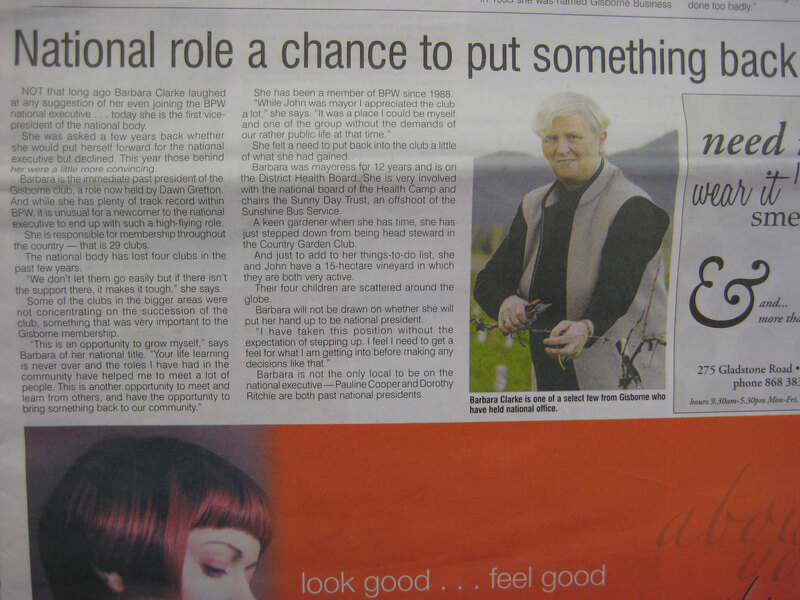 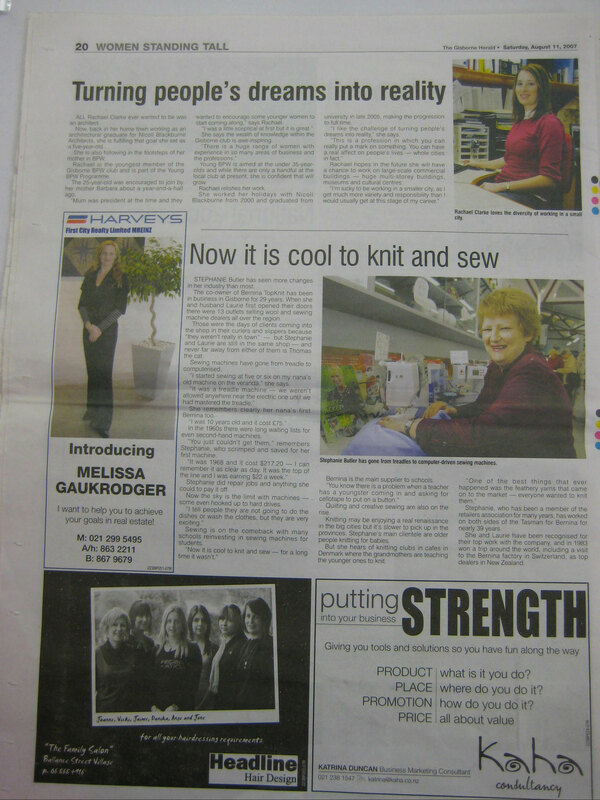 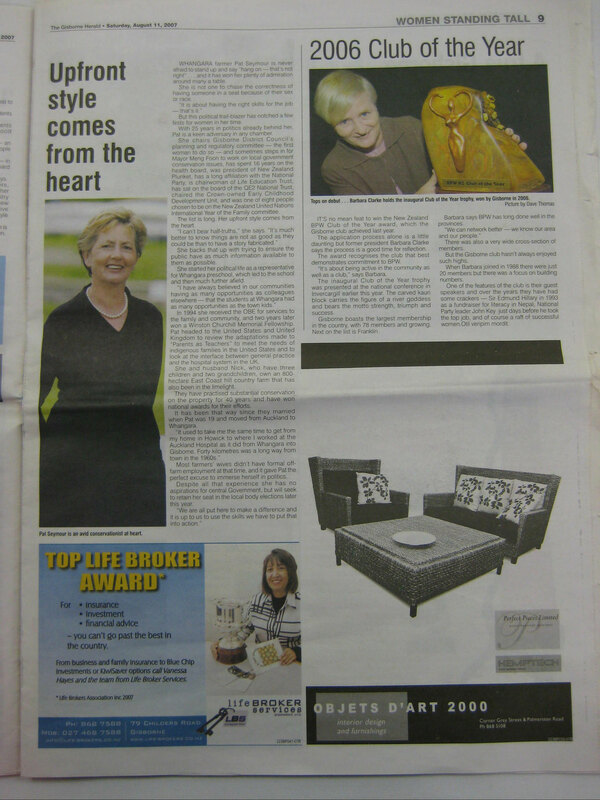 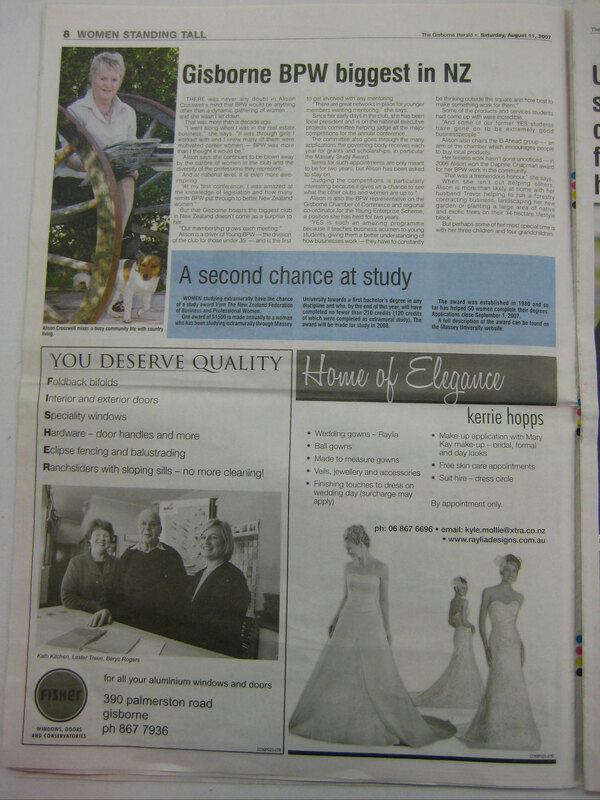 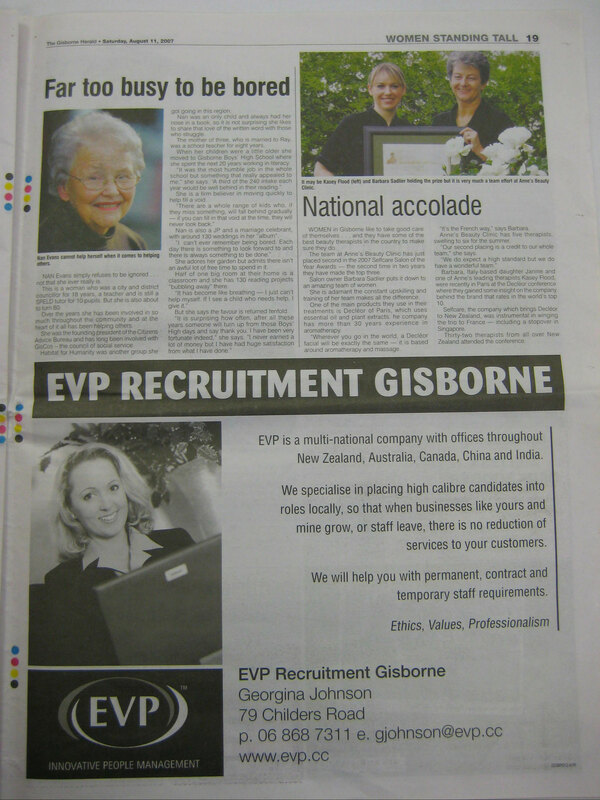 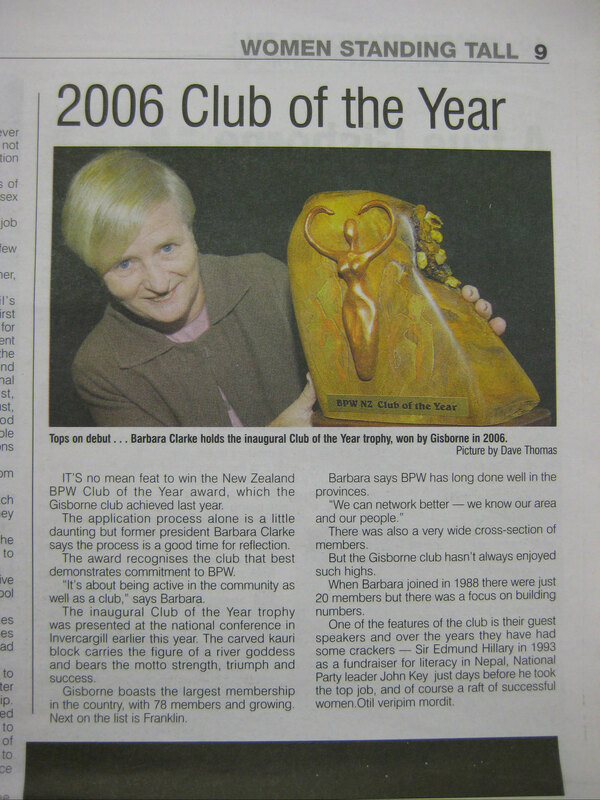 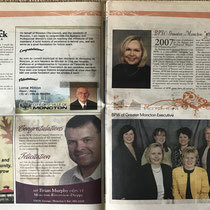 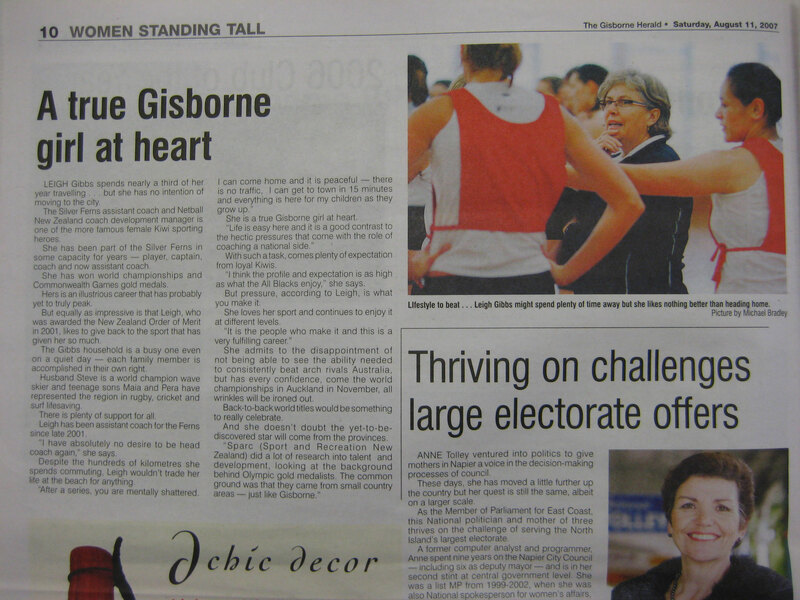 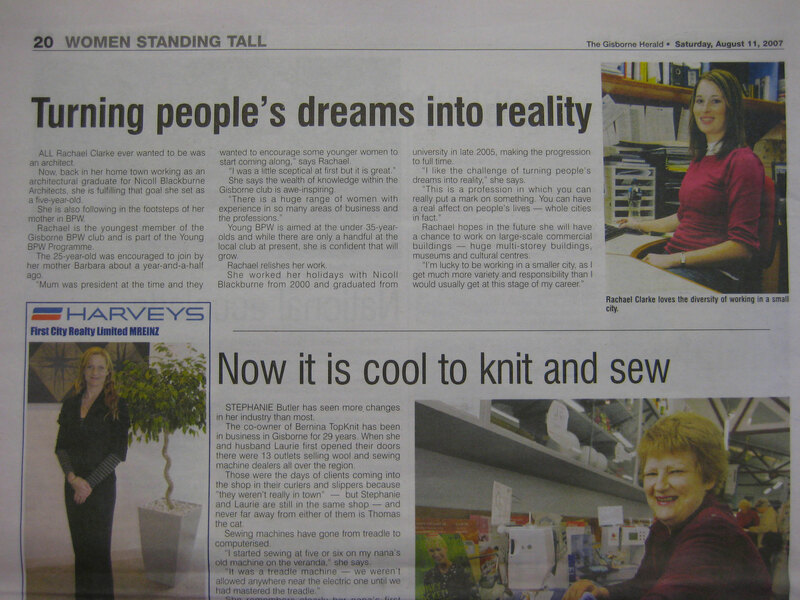 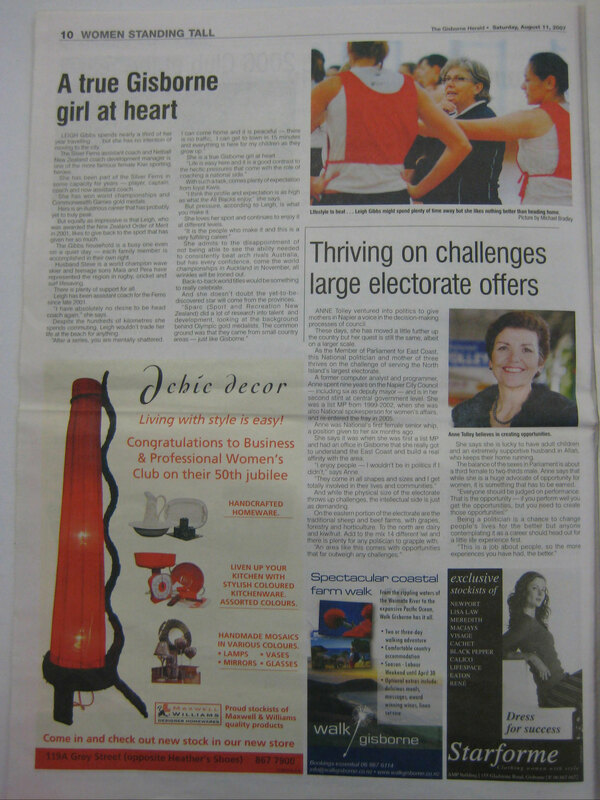 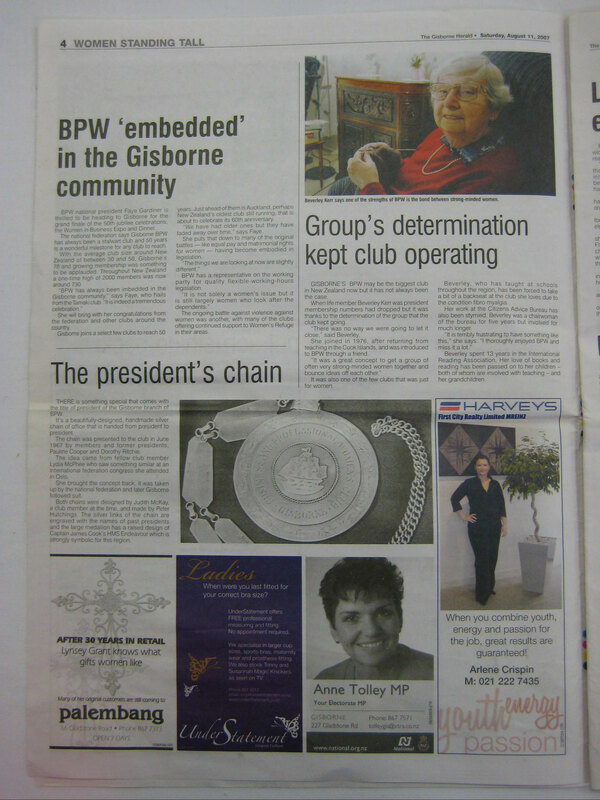 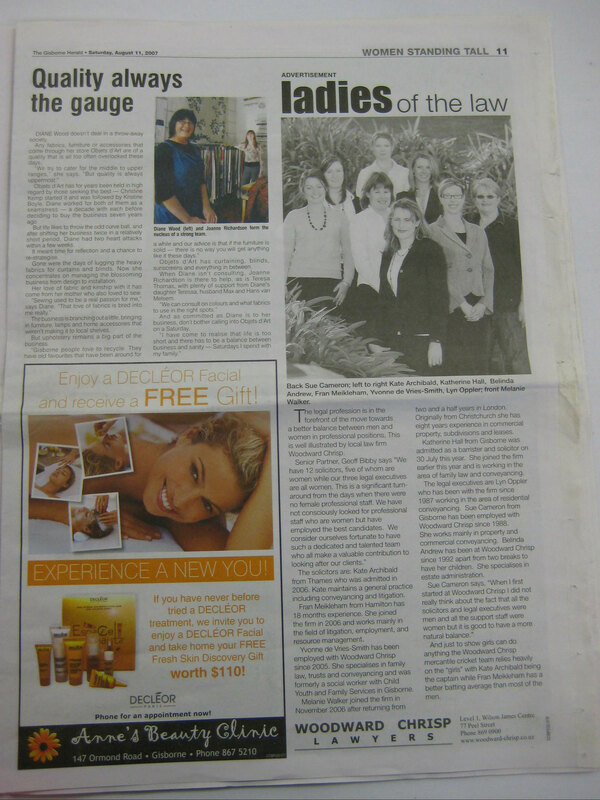 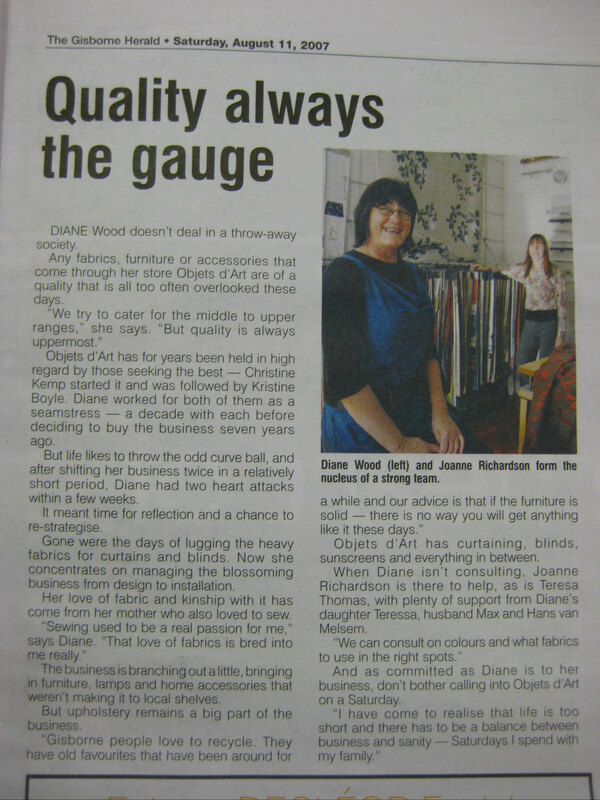 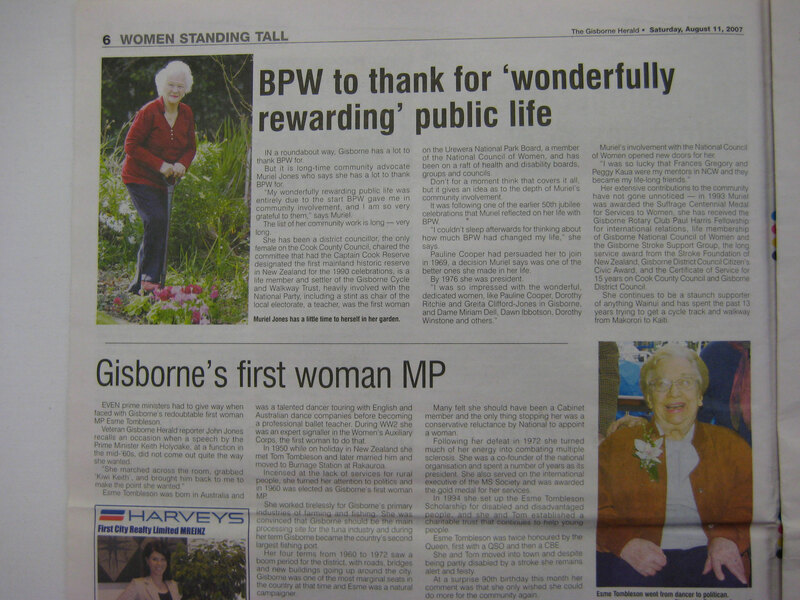 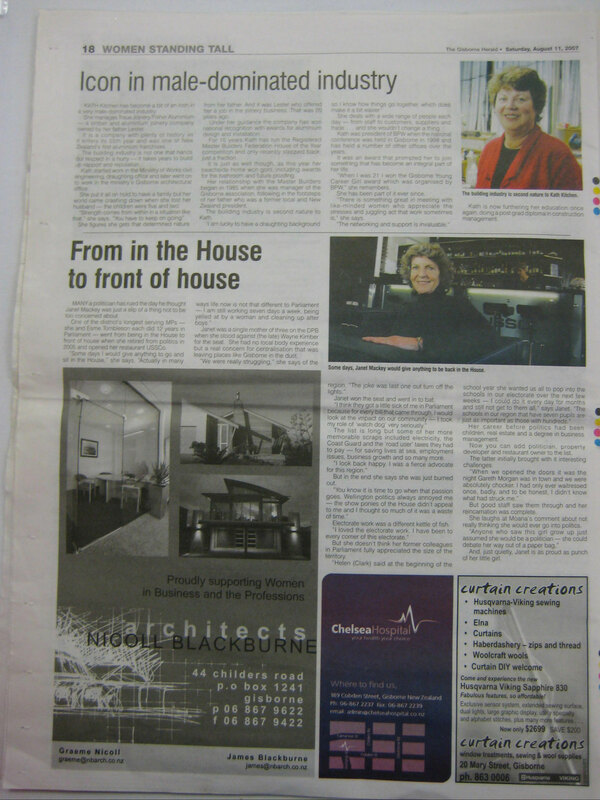 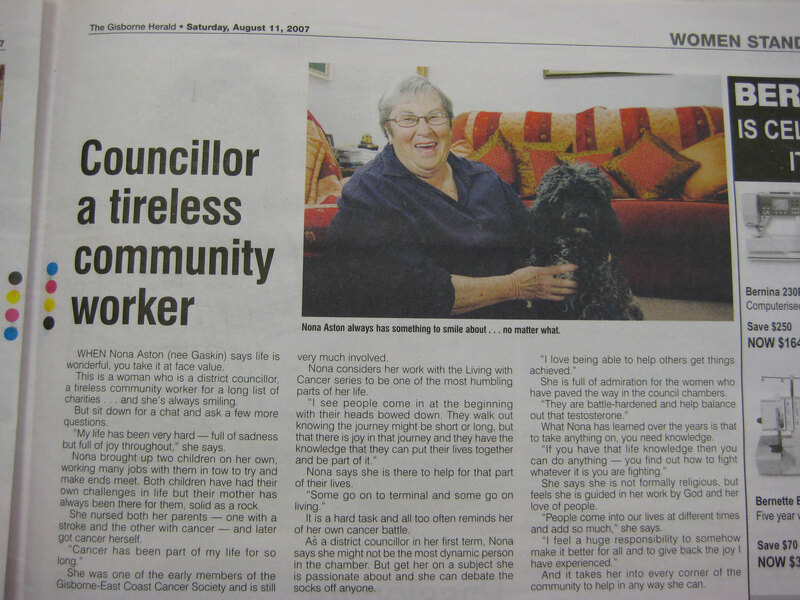 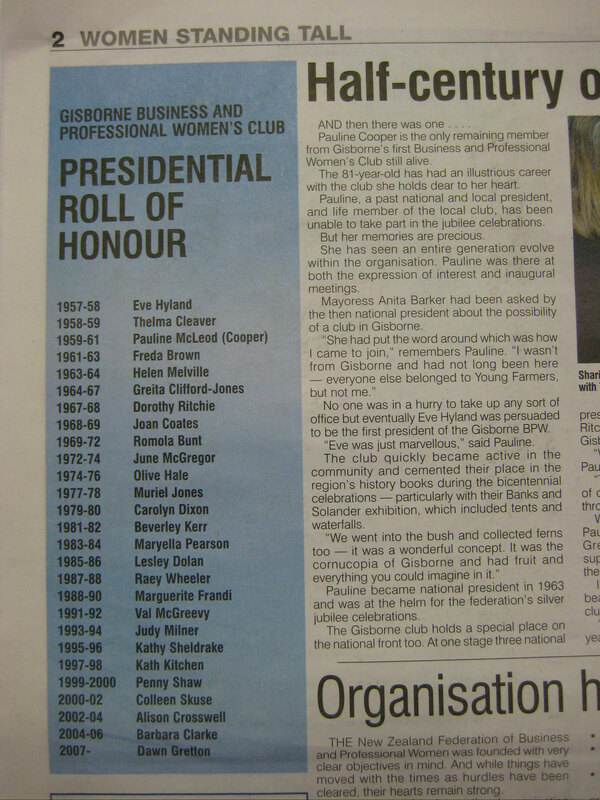 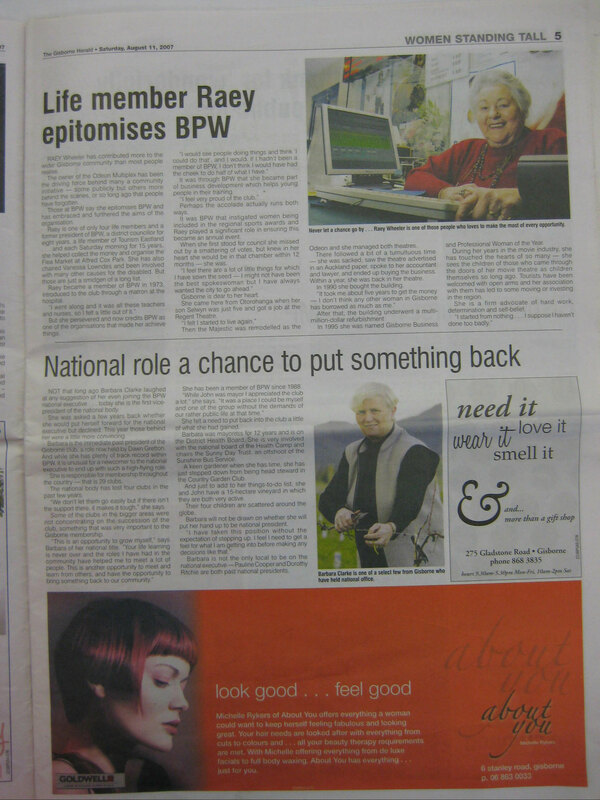 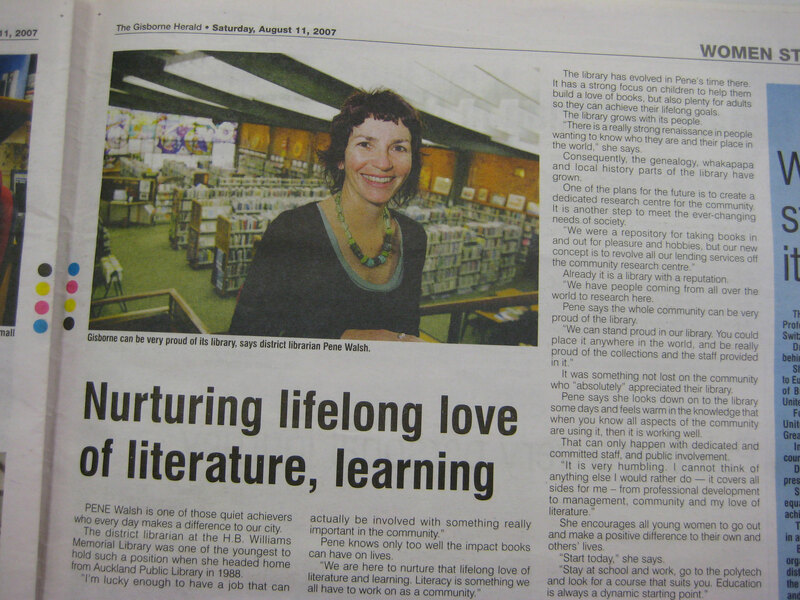 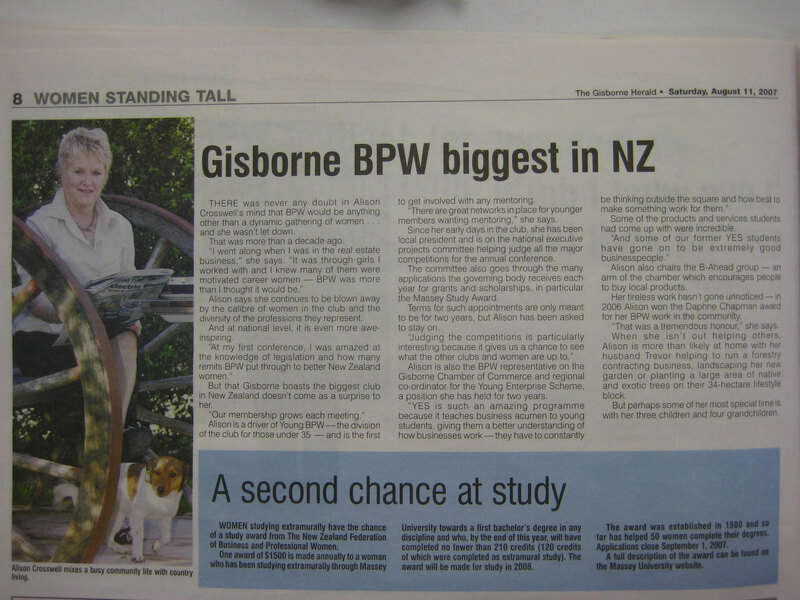 BPW Canada (BPW Greater Moncton) und BPW New Zealand (BPW Gisborne) used the quiet summer holiday time for presenting their Clubs and Club members in a local newspaper. 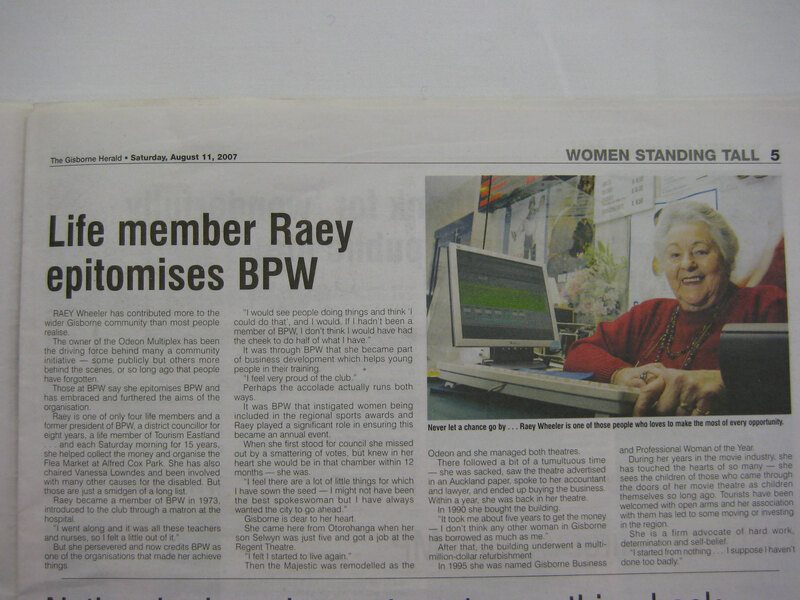 This presentation showed an extremely strong PR effect and each member learnt a lot by presenting herself.